Electric bike trip: how it works, tips... We tell you everything! Let go of your fears and make your dream of a bicycle getaway come true... Electric! Some regions entice you but you are afraid of not having the required physical capability? Do the coasts or distances limit your choices? Don’t want to be the ball and chain of the group that slows everyone down? If these questions are familiar to you, then drop everything, ride easy and have fun with an electric bike. Forget the litres of sweat to accomplish a "sporting feat" (better for your entourage (!)) and the anguish of labouring up the hills and slopes. The electric bicycle (or EAB - electrically assisted bicycle for purists) makes bicycle travel accessible to all. It is a great way to travel longer distances and discover a thousand landscapes. At any time, you can easily choose between the different levels of support (3 or 4 in general). Its weight -20 kg on average - may surprise you compared to a conventional bike but you won't even feel it, the assistance is there for that. Oh, yes! In principle you have to pedal, it is not a moped! However, don't worry, it's a natural thing to do and, from the first few metres, you'll feel comfortable. 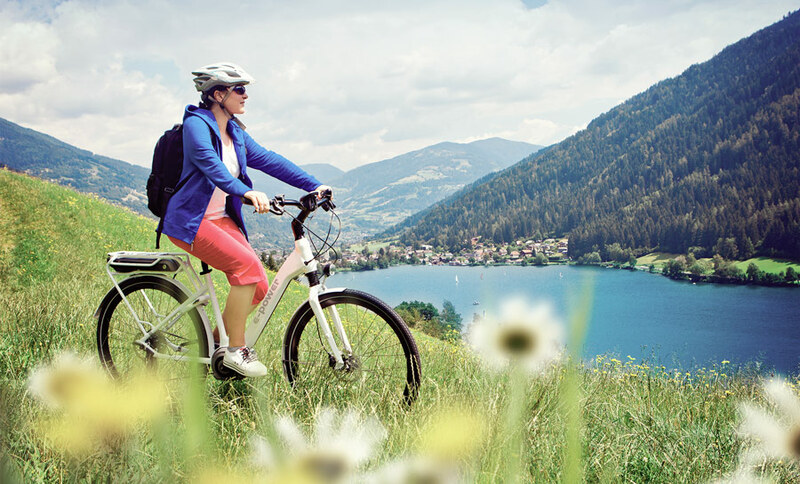 The electric bike clearly complements your effort and you will make it your best ally on hills that will be almost as easy to manage as on the flat. "It's reserved for non-sporting or lazy people"
Don't get me wrong, it's still sport! The electric bicycle is a different way to have fun while riding. Whether you are an experienced cyclist, a novice or a non-sporting cyclist, everyone will find it interesting: lengthening distances, riding cool, taking steeper climbs, etc. If you are already relatively athletic, take the opportunity to challenge yourself with even greater distances and gradients: the only limit becomes the duration of the battery! Plus you will still be in the spirit of hiking and travel. Sorry, but no! No! Just like on your mobile phone, a battery necessitates regular charging. Except that if you find yourself without electrical assistance in the middle of the wild, it's a little more annoying than a flat phone battery, especially because of its weight. Thibaut, founder of Évasion à vélo, a tailor-made travel agency, shares his experience with us and gives us some tips for optimal use of the electric bicycle. "The first time I tried an electric bike was in the Drôme Provençale, a region with varied landscapes that can be quite hilly and demanding in terms of effort. I could, of course, have chosen other more accessible routes, but I didn't want to be limited in terms of terrain diversity." Riding an electric bike is enjoyable, even for a good cyclist, especially when the slope gets steeper! We do 15 km/h while pedalling gently and the hills are a part of the fun, especially when we start passing cyclists who are climbing standing up! However, we must not get carried away and believe that the EAB is the rule of the slightest effort! Be consistent about adapting the level of assistance requested to the road surface (eco/medium/high). In this way, you can make a physical effort that remains rather moderate but real, while enjoying the landscapes to the full. 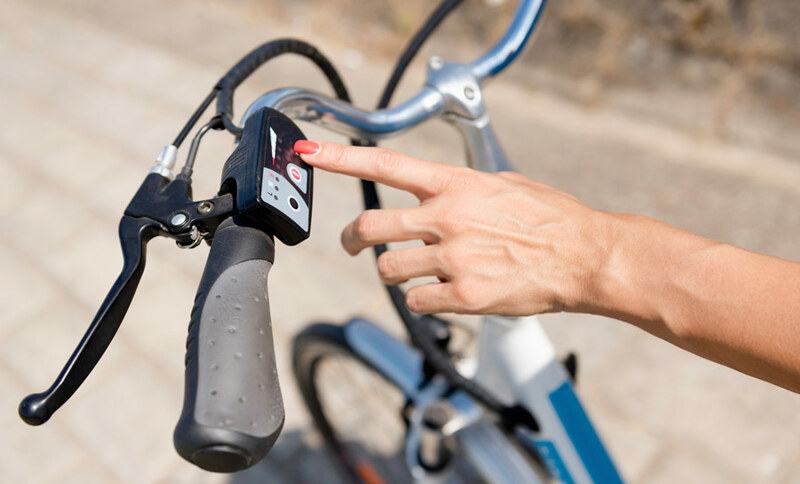 So, when travelling by electric bicycle over long distances, it is really necessary to adopt "conscious and attentive" behaviour: adapt the levels of assistance taking into account both one's physical capabilities and size, and also the difficulty of the route. It is a matter of habit and practice, and this develops quite quickly. You should recharge your battery every night and leave the next morning at full charge. But you can also save a few percent (and therefore a few kilometers) during the day, by stopping at a restaurant for lunch for example. This is a standard plug, so no worries from that point of view! Ready for some cycling adventures? Prepare for your next vacation by choosing your destination on the Évasion à vélo site. Luberon and Alpilles, Drôme Provençale, Cathar country, Périgord, the Bordeaux region and the surroundings of Paris will have no more limits for you! You will be able to fully enjoy the diversity of their landscapes.